I am absolutely loving the new yarns from Lion Brand! Their Landscapes yarn just spoke to me. I love the long variegation and gorgeous vibrant colors. The colors blend so subtly into each other and the yarn itself has a smooth feel to it that is almost like satin. I was so excited to work with it and create this gorgeous, yet simple, Autumn in the Tropics Infinity Scarf for you. It uses a very simple V Stitch pattern and takes just a few hours to work up. I hope you enjoy it! Happy Crocheting! 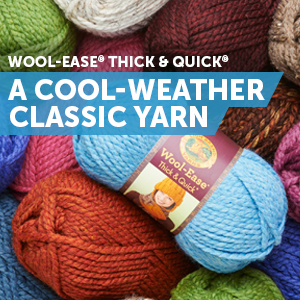 Approximately 294 yds of Category 4 Medium/Worsted Weight Yarn – I used Lion Brand Landscapes* in the Tropics colorway. V Stitch – [1 dc, ch 1, 1 dc] all in indicated space. This pattern is worked flat and then seamed to create an infinity scarf. You can also leave the ends loose for a regular scarf. Without twisting, bring the two ends together. Using yarn tail and yarn needle, sew the two ends together using a whip stitch or mattress stitch. I used the mattress stitch to seam my ends together but you can also use the whip stitch if it is easier.